Credit Crunch Munch June Round Up Is Here! 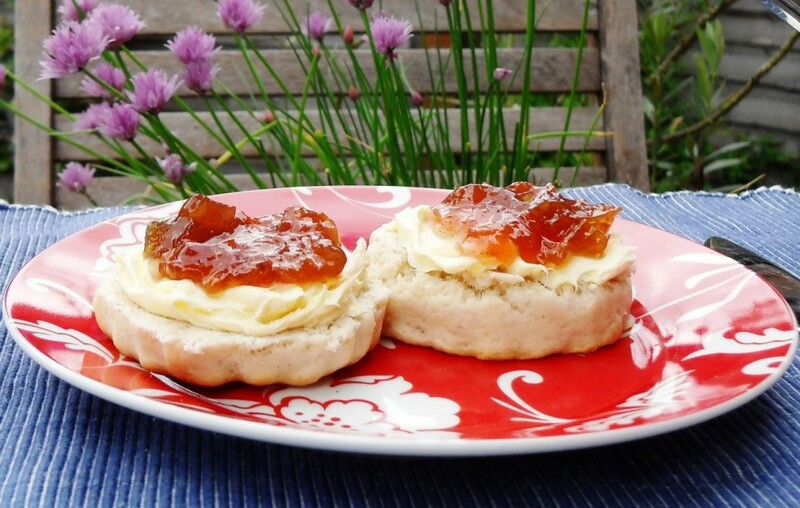 Home » Blog » Credit Crunch Munch June Round Up Is Here! I have had such a busy month that June has just flown past in a blur. So it seems very quick to me to be saying that the round up for June’s Credit Crunch Munch is already here! 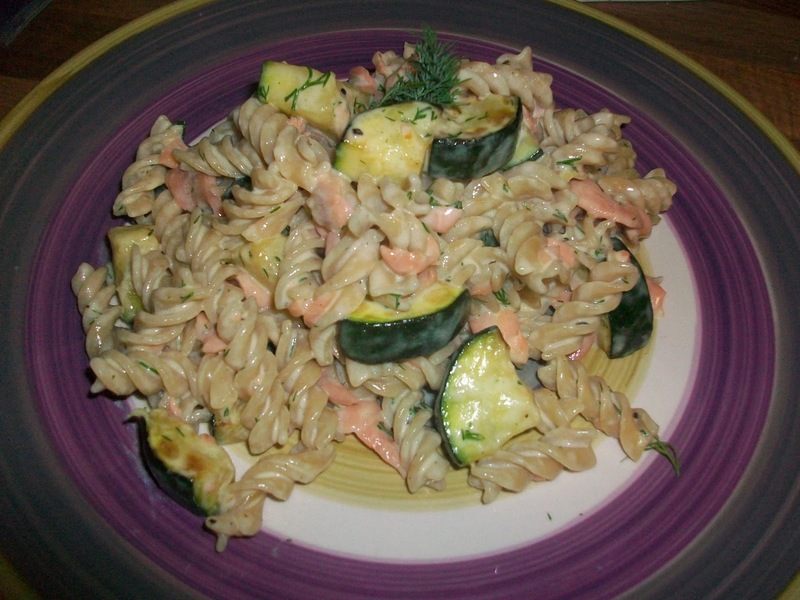 As always, we have had a wonderful array of great cost conscious recipes entered. This challenge continues to be relevant and mean something to so many of us. An exciting new way with broccoli, roasted with Parmesan & garlic keeping it crunchy! 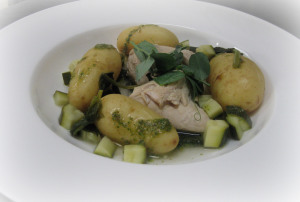 Finished off with lemon juice, this is a zingy, fragrant recipe to brighten up your greens. Packed full of juicy little blueberries and low fat yoghurt, these beautiful cakes look irresistible! Mostly store cupboard ingredients, these make a terrific thrifty treat! 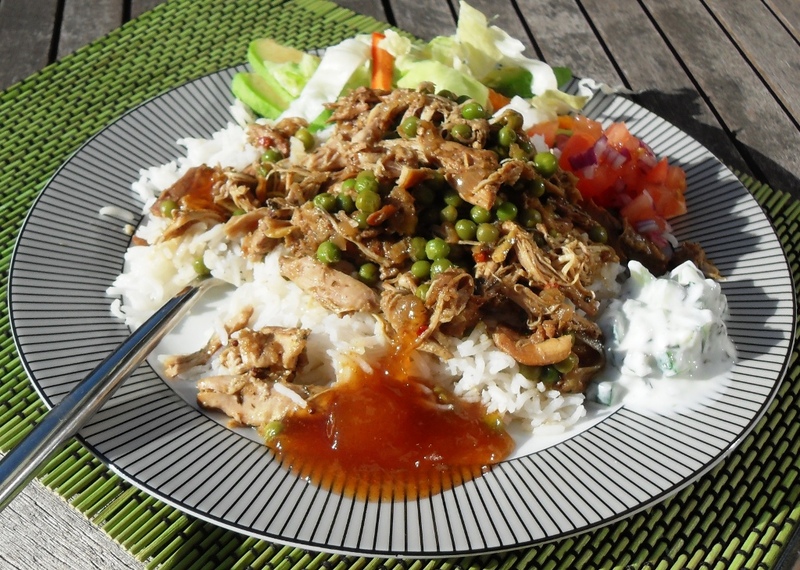 Having never heard of ‘Mamey’ before, this recipe is very intriguing! 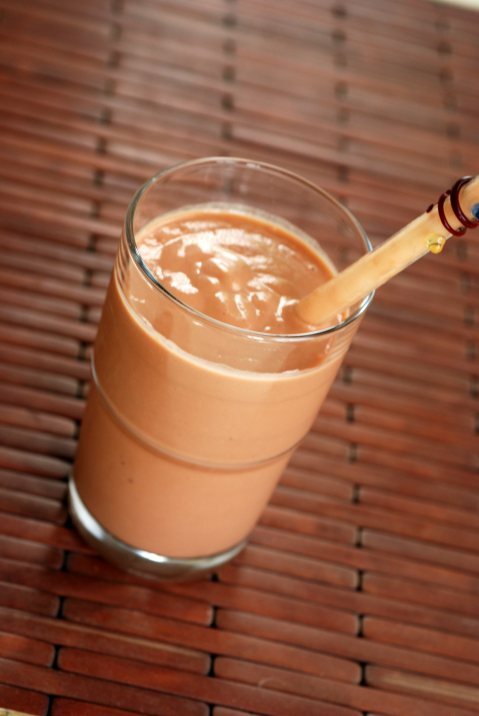 A wonderful looking smoothie, packed full of nutrients and energy, I would certainly like one to kick start my day. And ‘Mamey’ – I shall hunt you down! 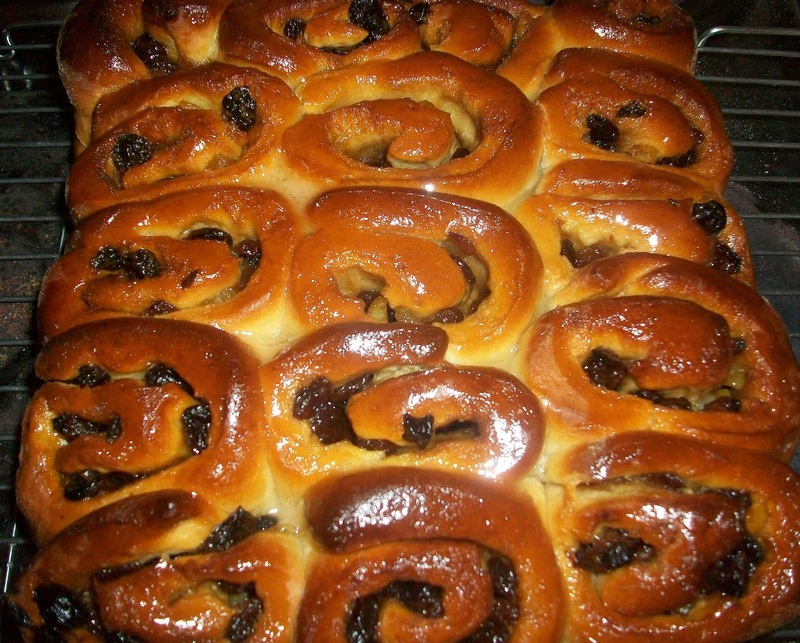 Sticky sweet, sensational looking buns! These are just perfect looking and I defy you not to want to eat the lot! 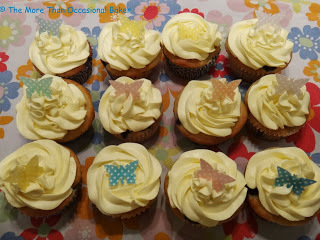 Jen describes them as cheap & cheerful – they would certainly put a big smile on my face! Stunning individual pavlovas topped with very clever rhubarb & elderflower curd& roasted rhubarb. These are impressive, very special treats that don’t cost a lot to make but look and taste a million dollars! 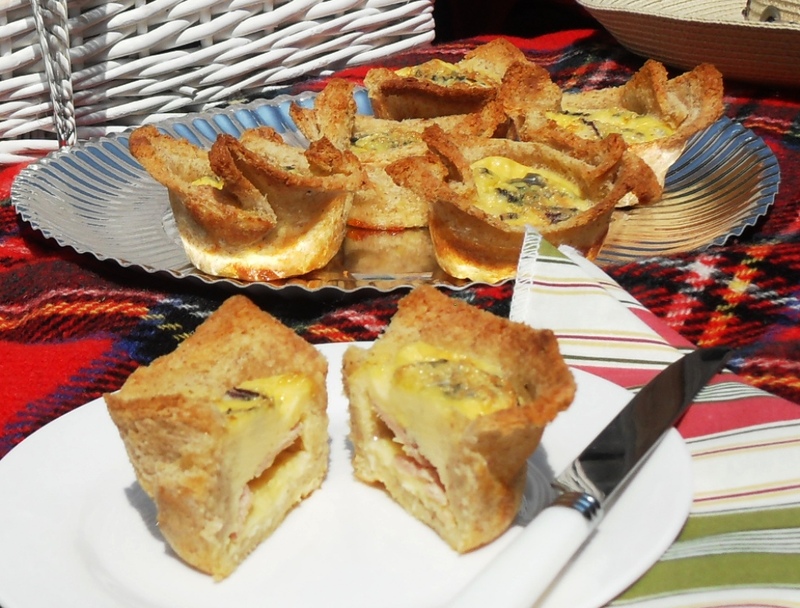 Ingenious little bread baskets are filled creamy cheesy quiche. These little bite sized morsels are just perfect for picnics, easy to make from basic ingredients but assembled into gorgeous handy little travelling treats. 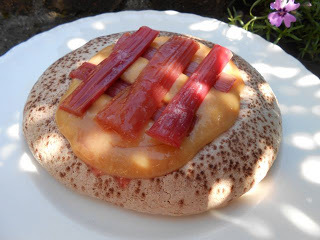 This unusual and yummy loaf cake is a bit like bread but not quite! It stretches a long way and could happily be shared amongst a group making it good value for money when planning a picnic spread. 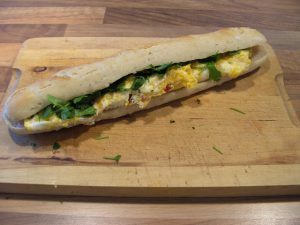 Fascinating & resourceful use of ingredients here with a baguette made with left over rice in it!! 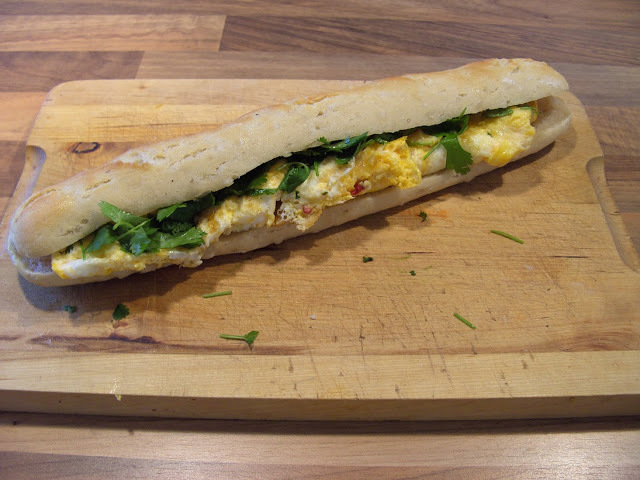 Then filled with a delicious spiced Asian omelette, this makes for a truly interesting and tasty sounding sandwich. Bravo! This is comfort food in a bowl, all warm, creamy and delicious with silky soft pasta and plenty of dill. 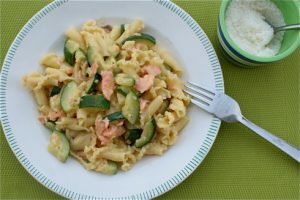 Simple to prepare using cheaper smoked salmon trimmings, this dish offers sophisticated flavours on a budget! 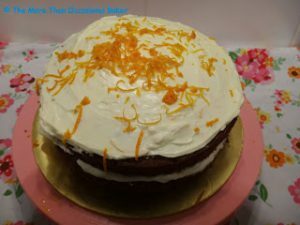 Surely everyone loves carrot cake? This one is fabulously packed with spices, nuts and raisins and smothered in a tangy orange cream cheese frosting. I could literally eat it all… What a great way to use up bits and bobs from your cupboards. Speculoos are lovely spicy biscuits and they have now made it into a spread also. 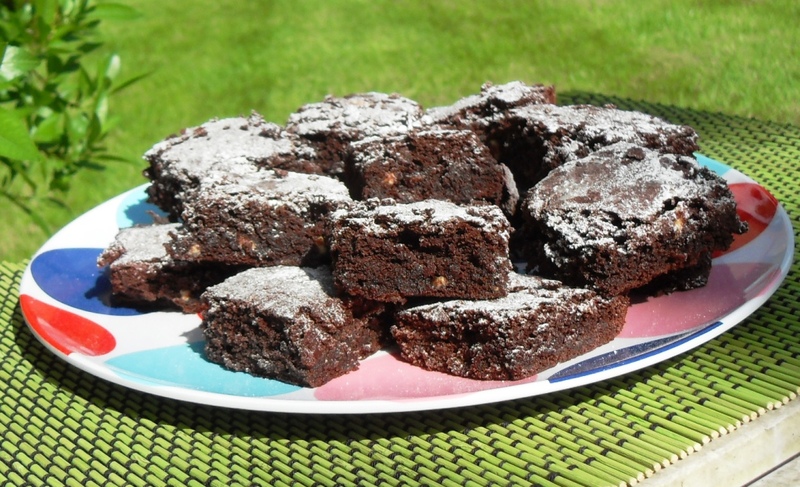 The idea of this sweet biscuit flavour combined into chocolate brownies is just brilliant. A wonderful frugal treat that I MUST try! 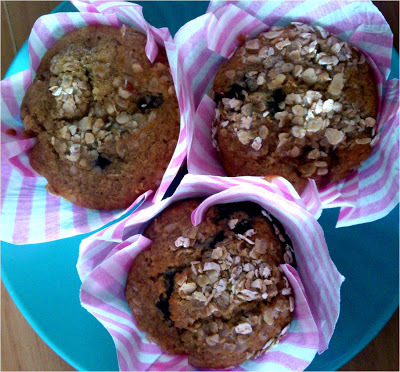 Fabulously fruity and filling, these muffins are a great idea for a snack to give you a little lift! Packed full of ingredients that you might have in your store cupboards, these are a healthier, economical treat to help you through your day! 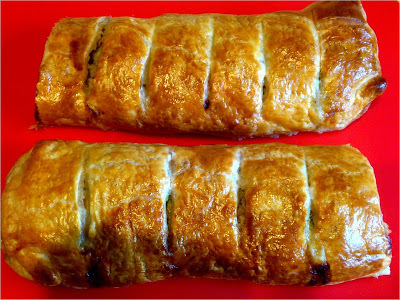 Sausage rolls are great but giant ones are just plain awesome! A family favourite big enough to share, these big boys stretch humble ingredients into something completely delicious that could feed a family! Great stuff. A very special vegetarian breakfast, filling and fabulous in every way. Microwaved poached eggs (!) 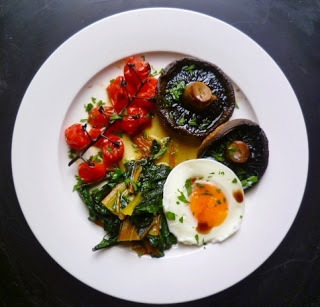 alongside chard, mushrooms & tomatoes would set you up for the day without all the usual cooked breakie fat and grease. Yum, yum, yum. A hearty bowl of pasty that wants to give your tummy a big hug! A great recipe to have in your repertoire, this one will happily feed kids and adults alike. 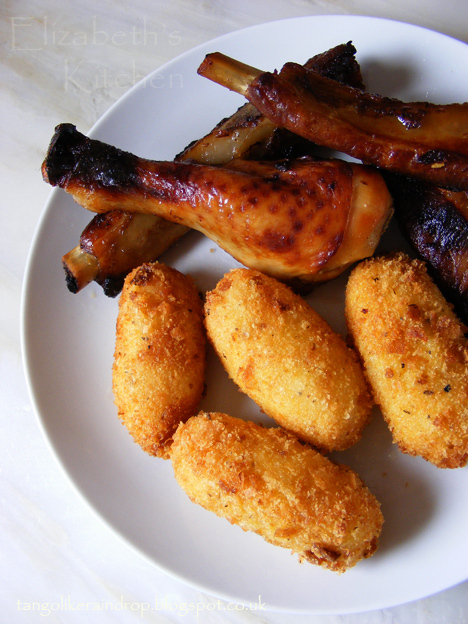 A unarguably delicious combination of flavours and textures. This tender curry was made in the slow cooker and the meat just fell off the bones. Lightly spiced and served alongside some raita and relish, this would be full of flavour and totally tasty! Yes please! Hummus is a true classic that everyone just loves and here we find out the secrets to making the chickpeas the best they can be! 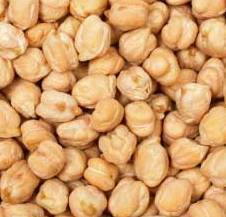 Great step by step instructions on prepping and cooking chickpeas from scratch to achieve the perfect texture. 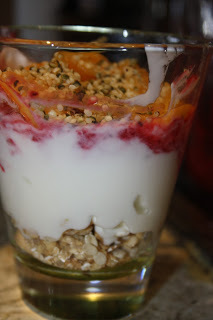 An inventive beautifully layered pot of deliciousness to liven up your dull and ordinary breakfasts! Using up a bit of this and a bit of that which you might have around your kitchen to create a stunning, tasty and fresh breakfast fit for a king! Crispy on the outside and rich and soft in the center, these make something exceptional out of common everyday leftovers! Irresistibly more-ish, I defy you to be able to stop eating them. I know I could eat loads! Made with some bargain priced rhubarb, this jam is a great way to use up lots of lovely fruit, preserving it so that it just keeps on giving. So this is doubly economical! Home made jam is simply unbeatable. A low calorie, healthy vegetarian supper dish that uses inexpensive and filling ingredients to perfection. Wonderful spicing makes this curry fragrant and gratifying. A really great way to use lovely lentils. 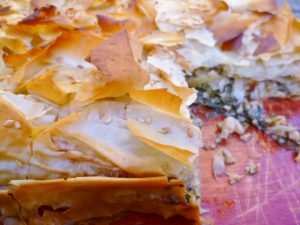 Creamy herby filling, full of vitamin rich greens topped with light crunchy filo pastry, this pie sounds divine. Being vegetarian it is also inexpensive, even more so if you use home grown herbs and veggies to bulk it up. Lovely! 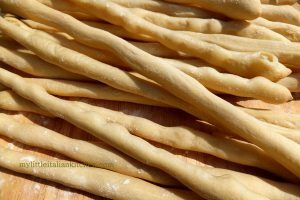 Made from scratch, lovingly by hand, these bread sticks are free from additives and all the other stuff you find in shop bought ones. A great step by step guide to making them so there is nothing to fear with this lovely simple recipe. This slow cooker one pot wonder makes a light and zesty Summer stew. 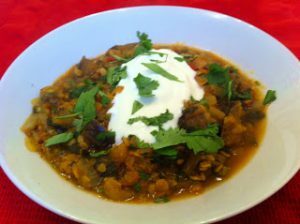 Full of herbs, veggies and capers, this stew offers up a litght, fresh tasting change to heavier, creamier Wintery slow cooker dishes. I am bookmarking this one! Cute little Moomins inspire this soup! 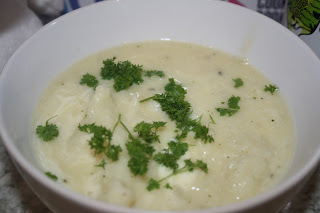 Creamy, cheesy and delicious, this soup is comfort food personified. A great use for an often unloved vegetable, making fresh soup is great value for money and stretches a long way. So thats it for this month and for my stint at hosting Credit Crunch Munch. It’s been great fun and a delight to read all your lovely posts. All thats left to say is a great big thank you to everyone who entered! 12 Comments on "Credit Crunch Munch June Round Up Is Here!" There’s a wonderful variety of entries this month, covering all the meals of the day including desserts! Very inspirational. I love the look of those breadsticks the best though…. ooh I could snack on a few of those just now! So many great recipes. Sorry I wasn’t able to take part this month, I was having a busy one too! One more reason for me to get off my duff and enter one of these nice competitions! Great round up Anneli, been a bit of a busy month for you eh?! Los of fab recipes for me to drool over. Another beautiful round-up Anneli – the first link reminded me of something I posted a long time ago. I had it in a fantastic vegan restaurant in Stockholm and was motivated to recreate it at home. 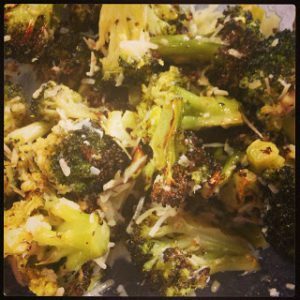 Blanched broccoli… just enough to take the edge off it, but it’s still quite crunchy, served with lemon juice and I think minced garlic. Made a lovely meal accompaniment!